This part of the website is dedicated to our schools sport programme. I am extremely proud to announce that wigmore primary has been awarded the AFPE quality mark. We have also received the quality mark with distinction, which is the highest accreditation possible. 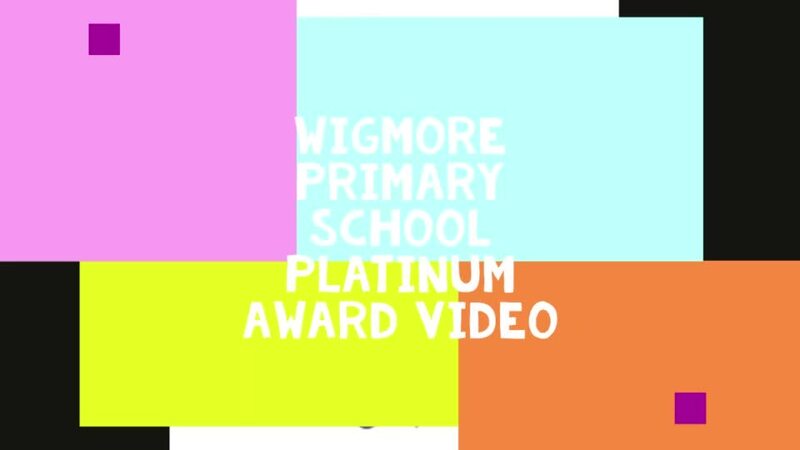 This is an incredible achievement for the school and i would like to thank staff, pupils and parents for their help which has ensured we have a fantastic sports programme here at Wigmore. A prestigious award is a powerful way of celebrating success. The afPE Quality Mark will recognise, through a succinct self review and evaluation process, the strength and quality of physical education and sport in your school. It will raise the profile of the subject and the school both locally and nationally and will promote the high quality work that is being undertaken on a day to day basis. 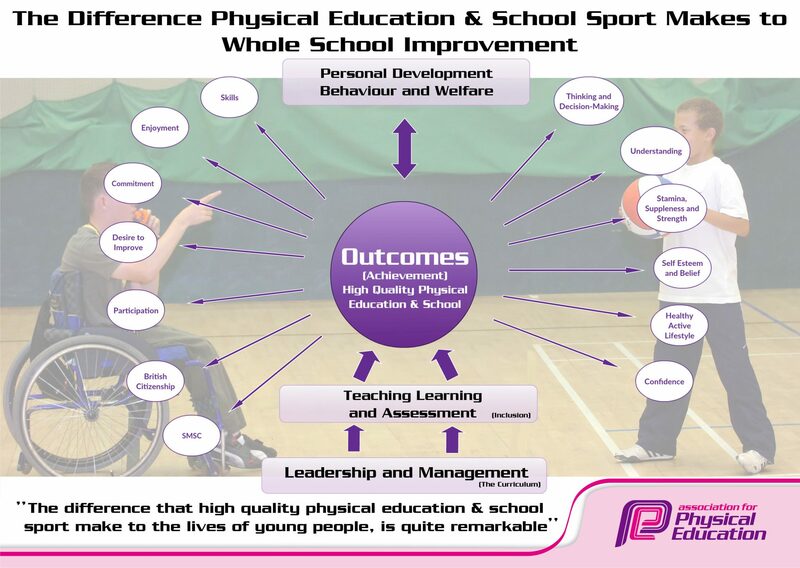 High quality physical education and sport makes a difference to the learning and experiences of children and young people both within the subject and more widely across the curriculum. I am delighted to announce we have just been awarded the new School Games Platinum Mark, and are one of the first and only schools in Luton to achieve this. To achieve the new Platinum level, schools must have successfully held a Gold award during the academic years 2013 - 2018 consecutively as well demonstrating the school’s achievements through case study evidence. Sport and competition is currently thriving in Luton due to the huge range of sporting competitions held throughout the School Year organised by Luton’s School Games Officer. Wigmore ensure that children are able to experience competitive sport with 100% of pupils taking part in intra competitions and 77% of pupil’s competition in Luton School Games Competitions. After last year’s success of being awarded The Association for Physical Education Quality Mark for Physical Education and Sport, (one of only two primary schools in Bedfordshire to achieve the accolade), we are proud to continue our sporting ethos within the school and this award helps showcase the great commitment and positive attitude shown by pupils, staff and parents towards sport. Wigmore win an incredible 25 medals and the winners shield at this years Luton schools swimming gala. Both teams did incredible and finished 1st and 2nd overall. For photos and full report please see result section of school website. So very proud of our cross country team. All pupils excelled and their hard training paid off. Yr 5 mixed team, Yr 6 boys and Yr 6 girls team all won their races winning the gold medals. #teamwigmore. For photos and full report please see result section of school website. Wigmore Primary had a great school trip to the Indoor British Athletics Championships at Arena Birmingham. Pupils were inspired by watching some top Athletes such as Katarina Johnson-Thompson, Laura Muir, Dwayne Chambers plus a whole host of top athletes. Congratulations to the Yr 5/6 athletics team who won the bronze medal at the sportshall athletics county finals. For photos and full report please see result section of school website. Congratulations to 3 of our pupils who have qualified for the County cross country finals. The 3 Yr 6 pupils had to compete against high school pupils in very competitive races. Joseph S, Joseph C came in 4th and 2nd respectively in the Boys race. Grace S won the girls race. Amazing! UPDATE - Congratulations to our 3 cross country runners who competed in the county finals on Wednesday. Joseph S and Joseph C finished 40th and 41st respectively on a brutal 3.3km track and Grace S finished 21st. Amazing result considering the course and competing mainly against yr 7. Congratulations to the Yr 5/6 Sportshall athletics team who won silver at this years finals and who have now qualified for the County Finals at the end on May. For photos and full report please see result section of school website. Wigmore hold 100% win record at Luton Schools tag rugby event. For photos and full report please see result section of school website. Well done Aviators who have won this years sports day overall. Well done to the cycling team who won this years Summer school games county finals. For photos and full report please see result section of school website. Wigmore help Saracens to Victory! On Saturday 5th May Wigmore pupils had a fantastic opportunity to watch Saracens play Gloucester in the rugby premier league. At half time our pupils played 8 minute matches against each other on the pitch in front of 10,000 spectators. This was a great way for the children to show off their skill and team work, as they often demonstrate so well in PE lessons. The children had a fantastic time! The day ended well with Saracens winning 62 - 12. Wigmore Primary is very proud to celebrate Lyla Howards incredible achievements whilst representing the county swimming team. In her last competition she walked away with 7 Golds, 4 Silvers 2 team Luton Swimming records and the Outtram Cup (awarded to the best performing swimmer for their age in the County). Amazing performance and everybody at Wigmore Primary is very proud of her achievements. My thanks go out to the Friends of Wigmore (FOW) and the school PE department for the quiz night held on Friday 3rd November. It was a really good evening and plenty of fun. I am pleased to say that over £400 was raised; this money will go towards the development of the outdoor learning environment. Also thank you to all parents and staff who attended the event and for continued support. On Tuesday 27th June 15 lucky pupils attended England's must win match vs Pakistan. The game was held at Leicester cricket ground and there were a whole host of cricket activities for the pupils to get involved with as well as watching some top class cricket. England won the match, winning by 107 runs thanks to an incredible innings from Natalie Sciver who scored 137 runs off just 92 balls. Pupils loved the whole occasion and have been inspired to emulate the sporting stars. Wigmore Primary inspires a new generation. Wigmore Primary pupils participated in this year’s National sports week (25th June - 29th June) with the aim of the week to inspire pupils to participate in sport in a variety of ways. As a school we were lucky enough to have a whole host of activities throughout the week, please see below. England Rugby - RFU sent in 4 coaches and put on a touch rugby competition for our pupils in year 4 & 5. Bike Stunt team - A Bike stunt team performed a show for our pupils, with some pupils also learning a trick for themselves. We also delivered other sports including fencing, archery, golf, frisbee, OAA, netball, boccia, sitting volleyball, american football. As well as all pupils taking part in a mile run every morning and a variety of fitness lessons. We have done it again! Well done wigmore primary pupils we have won the Luton area for a 4th year in a row. Incredibly we also finished 4th in the east of England and 10th out of the whole country. Thank you for all the support from staff, parents and of course pupils for another successful year. Looking forward to 2019 already. Incredible entries for this years competition. Winners will be announced in Friday 4th April celebration assembly. Some of the entries below. Who's your favourite? On Friday 5th April we held our Bike it Breakfast. Children who came to school on a bike or scooter were entitled to a FREE breakfast. Children could choose between a sausage or bacon bap, cereal or toast. Incredibly over 350 children turned up for the event! Once breakfast was served the children had the opportunity to cycle or scoot through fun activities on the playground. Thank you to all the staff who made this event a great success. Wigmore primary held their annual bike it morning to celebrate the start of this years "Big Pedal" competition. Fantastic morning with a whole host of events taking place including obstacle course, ramps and races. Amazing turnout with over 350 pupils using their bikes and scooters. Great start and keep it up. Wigmore cross country athletes win at this years event and pick up 10 medals. Please see result section for full report. Congratulations to our Yr 5/6 Golf team who have won silver at the county finals. For photos and full report please see result section of school website. Athletics team Win silver medals at Yr 1/2 quad kids event. For photos and full report please see result section of school website. Thank you to all parents whom filled out the PE parent questionnaire. We are always looking for feedback to ensure we continue to improve and that all pupils enjoy and participate in physical activities here at Wigmore primary. Any Girls looking for a football team to join? Please see below local teams looking for players.